Thank you to everyone who has already signed on as a sponsor for this year's golf tournament! We cannot do it without you and we appreciate your support. We still have a few more contest hole sponsorships, as well as regular hole sponsorships left. Don't wait until it's too late - sign up today! If you haven't secured your spot to play we suggest you do so immediately. We will be closing the player sign up on July 25th. 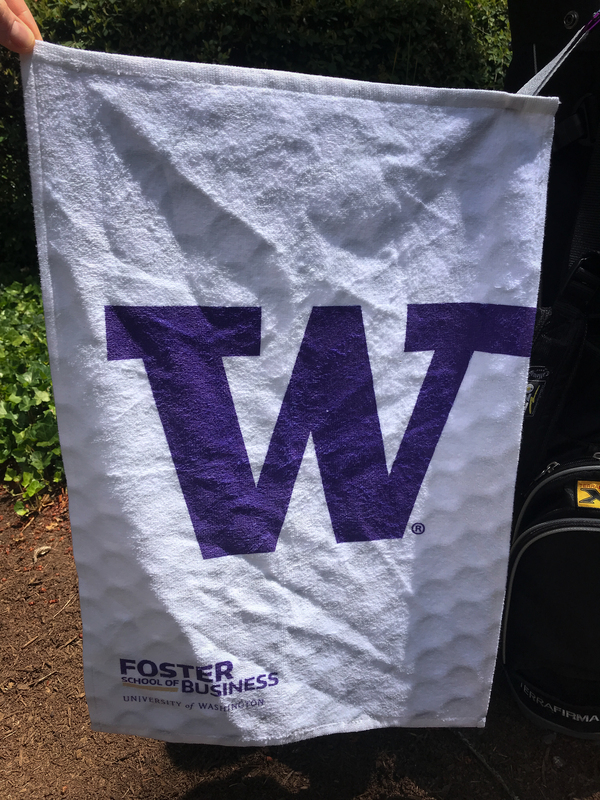 We upgraded our golf bag towel today with a little help from the University of Washington Foster School of Business! 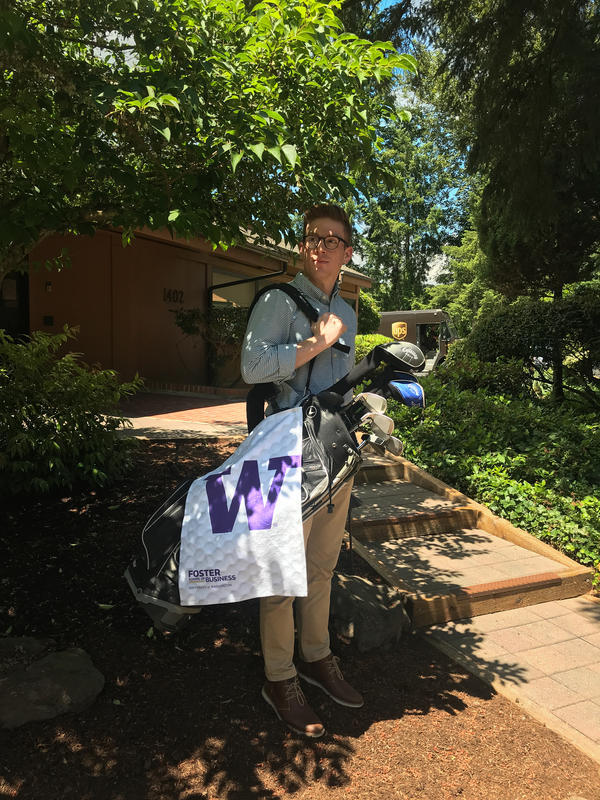 The money PSPCF raises from attendance fees and hole sponsorships will benefit students at the University of Washington Foster School of Business who have a high degree of financial need. With the help of donors and sponsors, PSPCF will grant scholarships to several dedicated students in an effort to help them succeed and become the next great business leaders of the future. We enjoyed a beautiful sunny day at last year's tournament! Please save the date for our Annual Charity Golf event taking place on Monday, August 13th. We need your help raising funds for the UW Foster School Scholarship fund. If you are interested in a sponsorship opportunity, please contact us at info@pspchildreansfoundation.org. 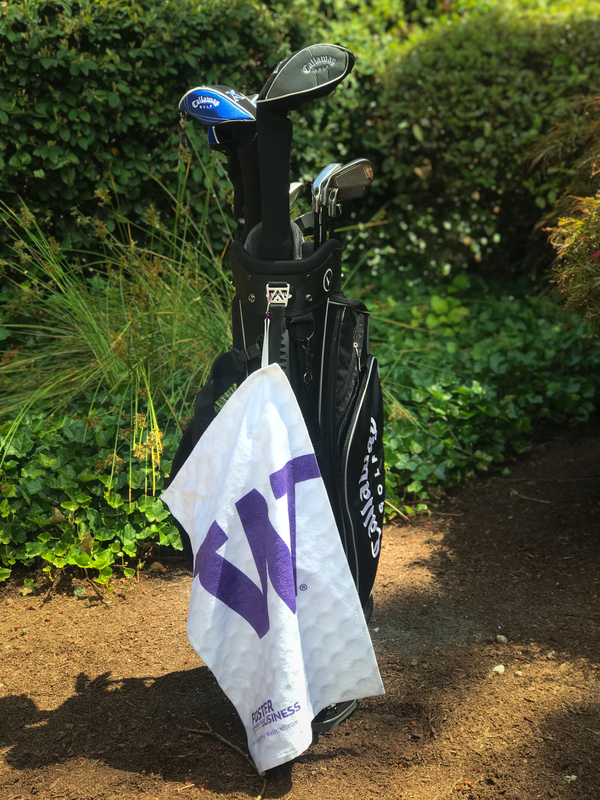 I am so excited to announce that our golf event is now officially set to raise funds to support the University Of Washington Foster School Of Business! 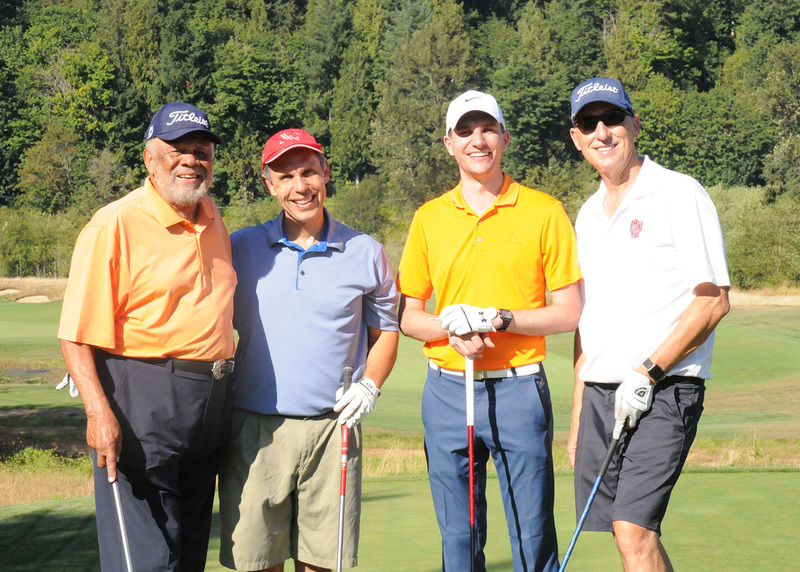 Pacific Software Publishing, Inc. (PSPinc) will sponsor the PSP Children’s Foundation (PSPCF; NPO) for its golf event expenses entirely, and all hole sponsorships and contributions we receive at this event will go to help students who have a high degree of financial needs. Both PSPinc and PSPCF want to make sure our next-generation entrepreneurs will have fair opportunities in completing their education so they can contribute to our community and society in the future. This charity golf tournament will be held at Aldarra Golf Club on Monday August 21st, 2017. Aldarra Golf Club is a private club on the historic Boeing Family Farm land designed by Tom Fazio. I ask you all to help us make this event succeed by sponsoring holes, or playing in the tournament. Our newly updated website, www.PSPChildrensFoundation.org, has a sign up for the event ready now. Together, we can make a difference in our future. PSPCF’s mission is to continue offering aid to young people through unique programs and scholarships, and bring hope for the future. Please visit http://www.pspchildrensfoundation.org/ to learn more about PSPCF, and follow our Facebook page for updates: https://www.facebook.com/PSPChildrensFoundation. PSPinc is a web hosting and Internet solutions company located in Bellevue, Washington. It provides domain name, web, and email hosting, data storage and original software to over 40,000 companies. Learn more at http://www.pspinc.com/. Pacific Software Publishing, Inc. (PSPinc) in Bellevue, Washington, will celebrate its 30th year in business in 2017. 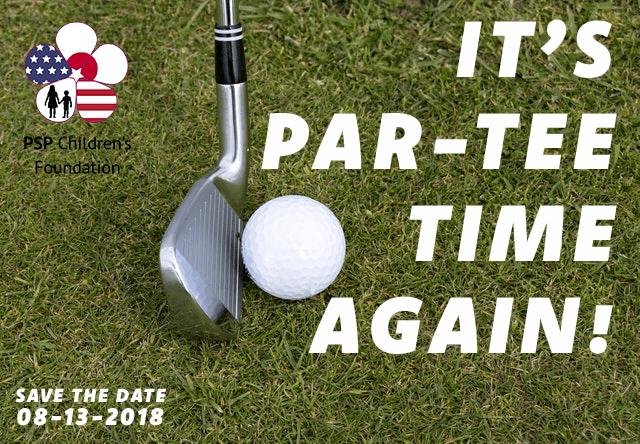 To commemorate the anniversary, PSPinc plans to cover all expenses for a golf tournament fundraising event hosted by its non-profit organization PSP Children’s Foundation (PSPCF) in partnership with UW Foster School of Business. The event will take place on Monday, August 21, 2017 at the exclusive members-only Aldarra Golf Club, giving the public a rare opportunity to play on a course designed by world-renowned course designer Tom Fazio. The idea for this scholarship fundraising event was born out of a desire to help young people who have overcome difficult circumstances. 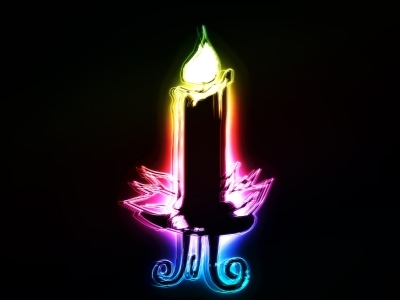 In 2011, when the massive earthquake and tsunami hit Japan, the employees of PSPinc were deeply affected. They raised over $75k in matching funds in the immediate aftermath, with the intent to help children directly impacted by the disaster. PSPinc created the “Experience Summer in Seattle” program which brought groups of Japanese students affected by the disaster to Seattle to experience the Pacific Northwest for two weeks. In the course of creating and running the Experience Summer In Seattle program, PSP Children’s Foundation (PSPCF) was formed, achieving 501(c)(3) status on September 13, 2012. PSPinc is a web hosting and Internet solutions company located in Bellevue, Washington. It provides domain name, web, and email hosting, data storage and original software to over 38,000 companies in both the U.S. and Japanese markets. Learn more at http://www.pspinc.com/. 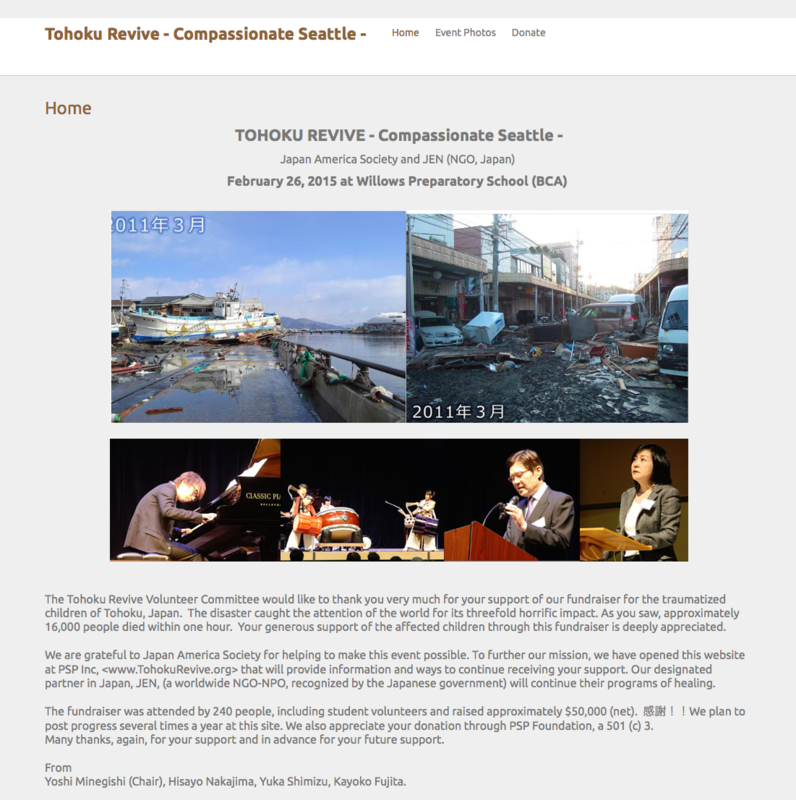 PSPINC and PSPCF are proud to support the efforts of Tohoku Revive! 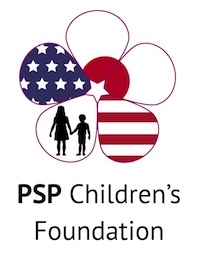 PSPINC has donated the website and hosting services to the cause, and PSP Children's Foundation has contributed to their fundraiser, because helping children affected by this disaster is how we got started. 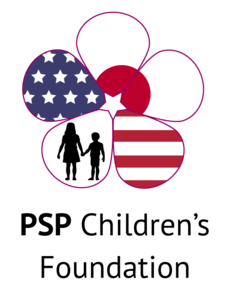 Please visit http://tohokurevive.org/ and consider contributing to their work to improve the lives of children in Tohoku. Happy Holidays from PSP Children's Foundation! We wish all of our friends and supporters a joyous holiday season and a bright new year! We're so grateful for all the support we've received over the last few years. 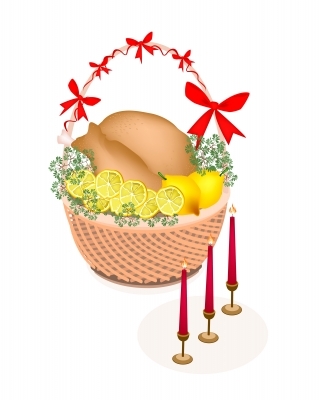 We hope all of our partners, friends and supporters have a great Thanksgiving! PSP Children's Foundation just received notice that we are officially a 501(c)(3) nonprofit organization! 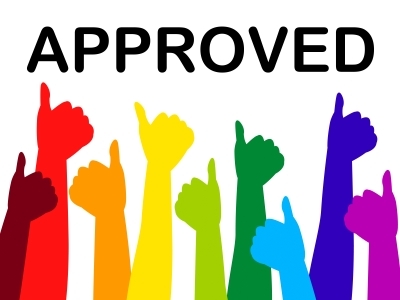 Our 501(c)(3) status is backdated to September of last year due to the lengthy approval process, but we are very happy to finally have the process completed. PSPCF is taking a break this year from our usual activities to plan out where we want to take the foundation and how we can continue to make a difference in the lives of children in the future. If you would like to be a part of our future efforts, please contact info@pspchildrensfoundation.org and visit our website for more information about where we're going and where we've been.